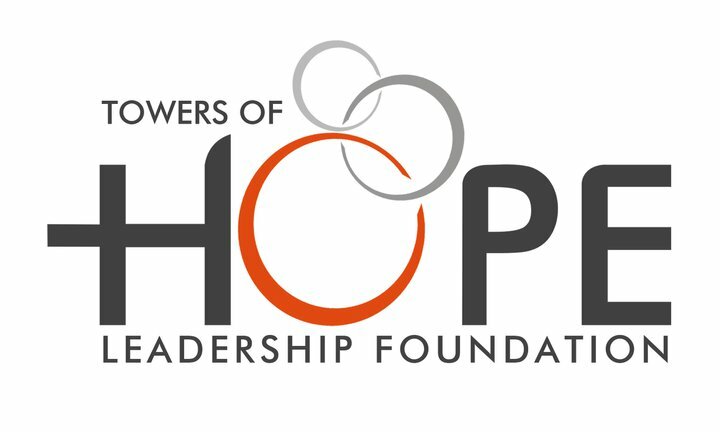 Towers of Hope Leadership Foundation was established in 2008 and works from the premises of the old Two Tower Dutch Reformed Church in the Bloemfontein Central Business District. The Foundation focuses on serving the marginalised and unemployed residents of the city. Towers of Hope was registered as a Non-Governmental Organisation in 2011 and is managed by a Board of nine Trustees. Towers of Hope’s vision is for communities to be transformed from vulnerability to ability. The mission flowing from this vision is to develop and manage a variety of processes and interventions whereby vulnerable people can realise their God-given dignity. The Proud Clean Bloemfontein initiative is one of many successful interventions Towers of Hope implement to help change the lives of the destitute. Proud Clean Bloemfontein is a job preparation program that provides a cleaning service to businesses and individuals in and around Bloemfontein. This initiative gives the beneficiaries of Towers of Hope the opportunity to take responsibility for their city, and for themselves. Apart from being included in the work teams, participants also attend a weekly life-skills session where they receive guidance to re-enter the formal employment sector. Johannes visited the soup-kitchen and was part of a group who were employed for a paint job in 2012. He excelled at the task and was permanently employed by Procon Trading. Jack started his journey as a Towers of Hope beneficiary. He became a participant in the Proud Clean Bloemfontein cleaning team. After being referred to a contractor who was employed to paint a number of houses in Woodland Hills, Jack now practices his skills all over Bloemfontein in the full-time employment of that contractor. James’ participation in the Proud Clean Bloemfontein cleaning team landed him full-time employment by a cleaning company responsible for maintaining the Waterfront Mall. This company initially made use of his services on a part-time basis while he was a member of the Proud Clean Bloemfontein program. James proved to be trustworthy and dedicated, which opened a door for him to move to the next level. Pieter was a long time beneficiary of Towers of Hope before he started to join the Proud Clean Bloemfontein program. He had previously acquired a certificate to provide security services, and by God's grace, he managed to find a job as a security officer. Masiu was travelling from the Eastern Cape to Gauteng when he ran out if money. While living on the streets, he lost his belongings, including his ID book and driver’s license. He became a beneficiary of Towers of Hope and attended the daily soup kitchen. Masiu later asked to take part in the Proud Clean Bloemfontein program. He stayed at the shelter and managed to save some money to replace some of his lost belongings. Masiu is now a taxi driver and is renting a house. He is saving for his own car. Godfrey is another beneficiary of Towers of Hope who took part in the Proud Clean Bloemfontein Program in 2014. He secured a position as security car guard at MIDAS for a probationary period, which will be renegotiated at a later stage. Vuyolwethu’s life took an unfortunate turn when he travelled from Cape Town to Vereeniging to visit his mother. He secured a lift in a truck, but missed his ride, lost his bag and ended up on the streets of Bloemfontein for a few days. He reached out to Towers of Hope and found accommodation in a Hostel from where he took part in the Proud Clean Bloemfontein program. He managed to buy a cell phone and contacted his previous employer, Parmalat (in Cape Town) and explained his predicament. Vuyolwethu was re-instated in his job. Early 2015, he secured a position as general worker at the Municipality and was transferred to his place of birth in the Eastern Cape. William worked as a parking marshal in Charles Street and spent his time at the soup kitchen. In 2013 he asked to be involved in the Proud Clean Bloemfontein work teams and was placed at Protea Hotel. William managed to secure “piece jobs" and finally in the middle of 2014 he found a permanent position as mine worker at a mine in the North – West. William visits Bloemfontein once a month. Simon previously worked in the mining industry in the North-West province. Atfer losing his job, he came to Bloemfontein in search of a new opportunity. His situation was dire and Simon was forced to live on the street. Simon took part in the Proud Clean Bloemfontein work teams and with the money he earned, he managed to rent a shack in Batho. He applied for several jobs and was successful in securing a position in plumbing in the East End area. Sello is a long-term beneficiary of Towers of Hope and a loyal participant in the Proud Clean Bloemfontein work teams. Sello was recently invited to work for The Bed Shop. He is doing well in his new job. Retha van Zyl Real Estate partnered with Towers of Hope and supports their work through donations following successful real estate transactions. Hereby helping to make a difference in the lives of those in need, while also supporting the efforts of Towers of Hope to eradicate the litter that pollutes our beautiful city. Keep an eye out for the Towers of Hope signs and Proud Clean Bloemfontein Work Teams in various areas of Bloemfontein. You will notice a team cleaning Frans Kleynhans Road from Heuwelsig to Woodland Hills Wildlife Estate, each Friday - a collaboration between Towers of Hope and Woodland Hills Wildlife Estate. For details on the powerful work done by Towers of Hope, contact De La Harpe Le Roux on dlh@towersolope.org or Like Towers of Hope on Facebook to stay abreast with their initiatives.